merry christmas and happy holidays! i know this is a couple days late, but we hope everyone had a wonderful holiday and are ready for the new year. we had a very nice christmas and got to spend some nice time with my side of our family. we’ve been dog sitting for some college friends of ours so it’s been a different way to spend the week running around playing with the dog. since we are both off all week it hasn’t been too bad to keep her entertained, but as you might expect, she follows us everywhere. anyway, hope you all have had a great holiday season and preparing for a great 2012. maybe we’ll do a new years resolution blog sometime soon! no pics of the pup??? 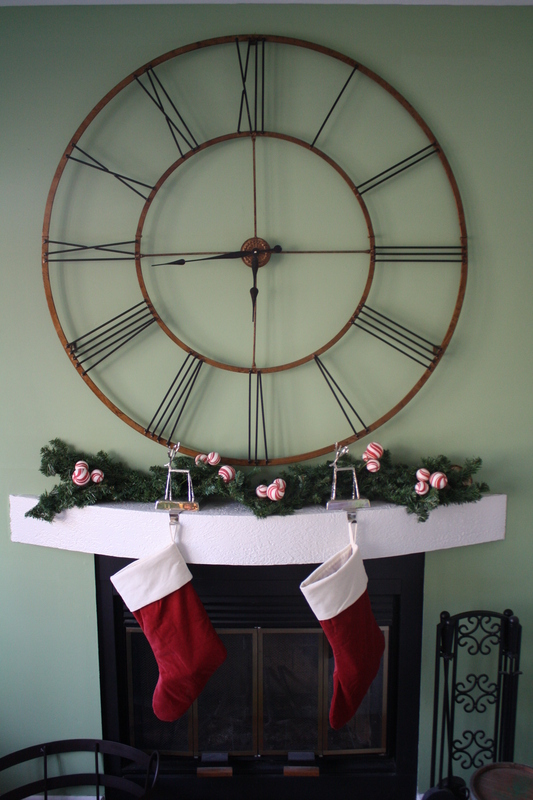 And that mantel looks amazing, love the clock!!! just linked to one, take a look! 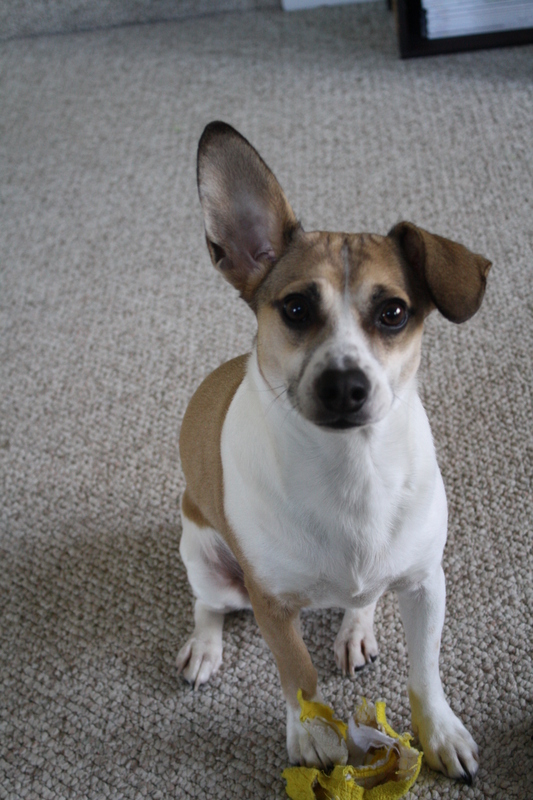 she is a beagle mix. thanks, we found it at a local lighting store. unfortunately it doesn’t work properly but it functions as great wall art!